The Demand for recognizing all the Gorkha communities as Tribals (sans SCs) has been repeatedly raised by Gorkha Janmikti Morcha, and is supported by the Sikkim Government, Assam Gorkhas and also by the Bengal government. However, the demand could not be fulfilled due to the previous Central government changing its stand previously. 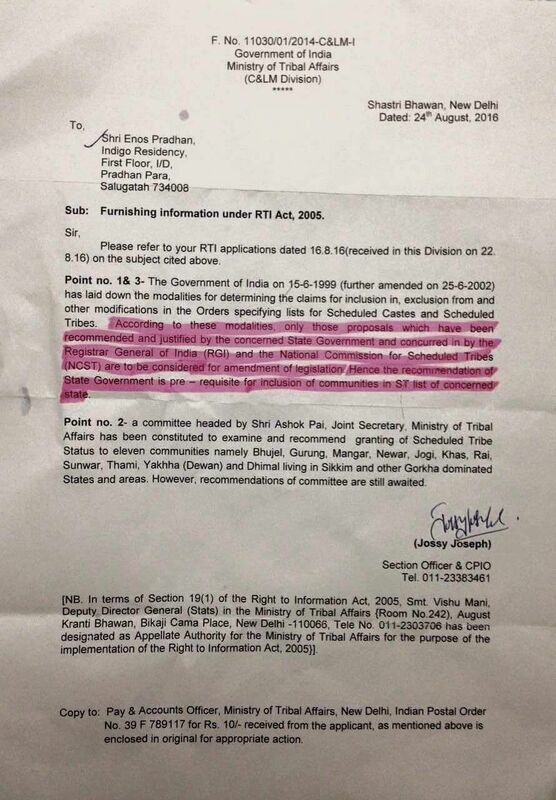 Despite having support from the state governments of Sikkim and Bengal, the UPA government had rejected the recommendations to include Gorkhas as ST. However, after BJP came to power, consistent perusal by GJM and Sikkim government has resulted in the Central Government forming in a one may Ashok Pai committee to look into the possibilities if according Gorkhas ST status nation wide. 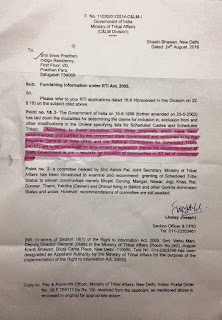 This was revealed in a response to an RTI application filed by former Bharatiya Gorkha Parisangh National President Shri. Enos Das Pradhan.